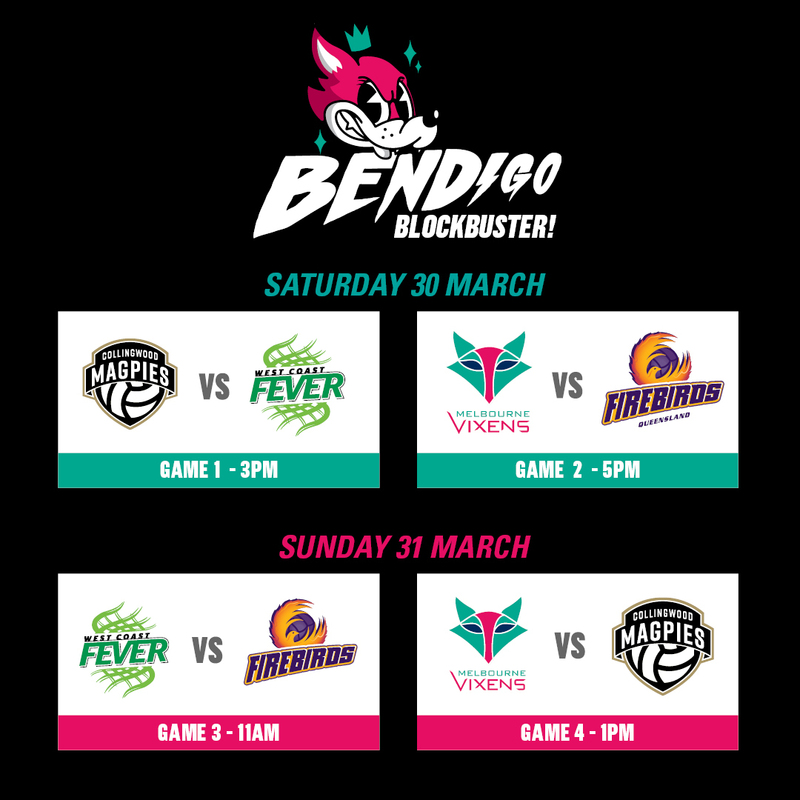 The Vixens will host West Coast Fever, Collingwood Magpies and Queensland Firebirds in the Bendigo pre-season BLOCKBUSTER at Bendigo Stadium on the weekend of 30-31 March. Last season’s runners-up West Coast Fever, Victorian rivals Collingwood Magpies and the Queensland Firebirds – who the Vixens will take on in Round 1 of the Suncorp Super Netball season – will travel to the gold rush town in regional Victoria, with four games across the weekend. With the support of Ozito, City of Greater Bendigo and the Victorian Government, Netball Victoria will host the practice matches, while also coordinating community activities to add to the blockbuster weekend. Caitlin Thwaites, one of the Vixens’ newest recruits, is excited to be bringing the games to her home town. “This is going to be the first time I step back out in the Vixens dress, and to do it in the stadium where I grew up playing is something really special,” said Thwaites. “Bringing elite netball to regional towns is such a great opportunity not only for us to meet the fans who travel far to see us, but for the young netball players to be able to see what is possible. City of Greater Bendigo Manager Tourism and Major Events Terry Karamaloudis said Bendigo is looking forward to hosting the tournament. Minister for Tourism, Sport and Major Events, Martin Pakula said the Andrews Labor Government is proud to have locked in this fantastic pre-season netball series for Bendigo through the $17.7 million Significant Sporting Events Program and $20.7 million Regional Events Fund. 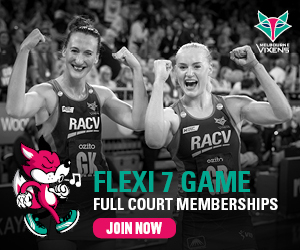 "What better way for the Melbourne Vixens to prepare for this year's Super Netball campaign than at Bendigo Stadium, the new home of major sporting and entertainment events in the region"
“In addition to the four games, there will be a range of local sporting and community events including coaching, umpiring and junior clinics." Mr Pakula said.